This book is a survey of the outdoor statuary in the area of London where national government is conducted and which includes a large proportion of what is known as the “West End”. It excludes only those sculptures which were conceived as integral to buildings, for which a separate volume is planned, and covers predominantly commemorative monuments to royalty and politicians, war memorials, fountains and works of art placed in the street for public enjoyment. For each work there are one or more illustrations and catalogue details. In the case of commemorations of individuals, the brief biography preceding the entry focusses on the achievements celebrated. The entries themselves provide blow-by -blow accounts of how individual works came to be erected, with particular emphasis on the selection of artist and site. These histories are accompanied by surveys of contemporary and later critical responses, and some account of the work’s “afterlife” and conservation history, particularly where any significant change has been made to the work. The introduction addresses general issues of policy on commemoration and attitudes to the beautification of the metropolis. In the process instances of royal intervention, and the adaptation of bureaucratic structures within national and local government to conserve and promote public art, along with relevant legislation, are explored. The use of Parliament Square, Trafalgar Square and the Victoria Embankment as sites for commemoration is discussed in sections within the topographical survey, and. brief biographies of sculptors and architects are included at the end of the volume. This latest Addition to the Public Sculpture of Britain series, published by the Public Monuments and Sculpture Association, is both a tour de force and a labour of love. At the risk of yielding to metropolitan arrogance, it is tempting to regard Public Sculpture of Historic Westminster Volume 1 as the most important volume so far. Few tourists or visitors would dispute this. This is a great book to dip into and an essential reference book. This latest addition to the Public Sculpture of Britain series, published by the Public Monuments and Sculpture Association, is both a tour de force and a labour of love. 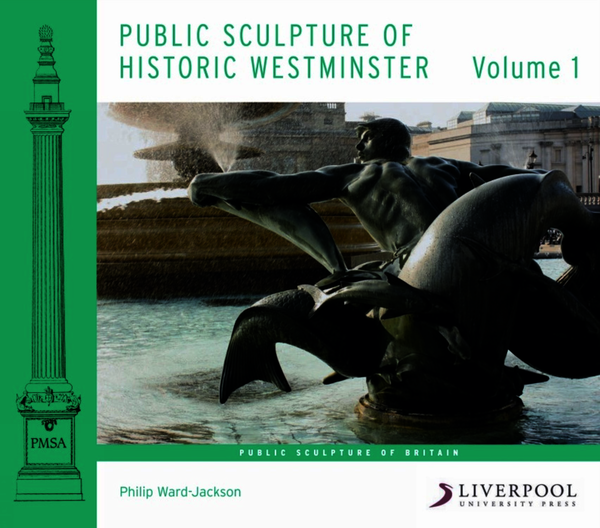 At the risk of yielding to metropolitan arrogance, it is tempting to regard Public Sculpture of Historic Westminster Volume 1 as the most important volume so far. Philip Ward-Jackson was the Conway Librarian at the Courtauld Institute and is author of Public Sculpture of the City of London, 2003 (Liverpool University Press).